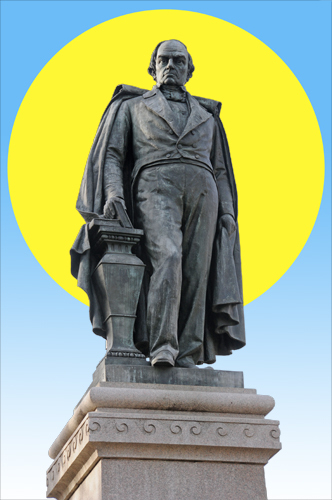 In 1957 the United States Senate named Daniel Webster as one of its five most outstanding members. He served there before the Civil War and attempted to resolve the differences between the North and the South though compromise. 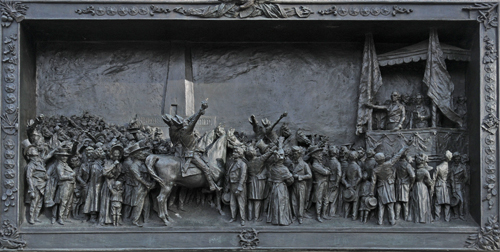 The Daniel Webster Memorial is interesting, in part, because it has two dioramas (is solid bronze sculpture can be called a diorama), one on the front of the monument and the other on the back. Daniel Webster was born in Salisbury, New Hampshire on January 18, 1782 and died at Marshfield, Massachusetts on October 24, 1852. 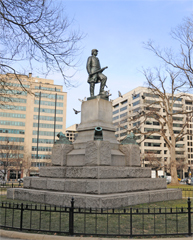 The Daniel Webster Memorial is located on Scott Circle NW, Washington, DC. 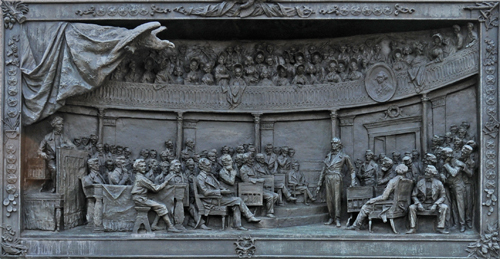 Click Here for Google Map showing the location of the Daniel Webster Memorial. 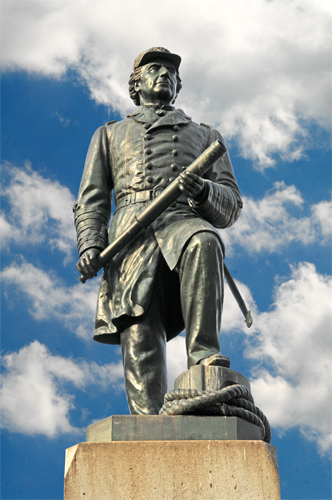 Closest Metro Station: The Farragut North Metro Station is nearest to the Daniel Webster Memorial. The National Geographic Museum in Washington DC has changing exhibitions, some of which are fascinating. Until March 31, 2010 there was an exhibit of some of the Terra Cotta Warriors that were produced to guard the grave of China’s first emperor. Pictures were not permitted in the exhibit, but there was a reproduction terra cotta soldier at the end of the exhibit that could be photographed and touched. Contemporary Chinese artisans in Xi’an produced this reproduction using the same techniques that were used to produce the striking originals over 2,000 years ago. 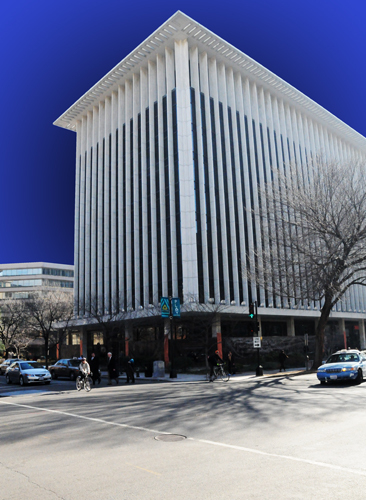 The National Geographic Museum is located at 1145 17th Street NW, Washington, DC 20036. Click Here for Google Map showing the location of the National Geographic Museum. Closest Metro Station: At about three blocks away, the Farragut North Metro Station on the Red Line is nearest to the National Geographic Museum. The Farragut West Metro Station on the Blue and Orange Lines is about four blocks away.